Manchester City head coach Pep Guardiola reserved special praise for midfielder Yaya Toure following the club's 2-0 win over Watford in the English Premier League on Wednesday evening. The 33-year-old enjoyed a stand-out game in what was his 200th league appearance for the Sky Blues, as they got back on track with a hard-fought win on home soil. City, though, were dealt a major blow with Ilkay Gundogan having to leave the field with what looked a serious knee injury. The former Borussia Dortmund midfielder limped off in tears just short of the break, and looks set to be ruled out of action for an extended period of time. 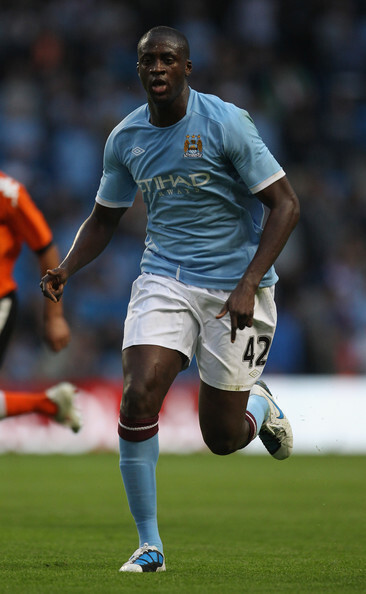 With a clash against Arsenal on the horizon, Guardiola could well call on Toure to fill the void left by the German with the 2015 Africa Cup of Nations winner in superb form of late. “Yaya is an exceptional player and if he plays as he did today [Wednesday] we are very happy for him - he can play as a defensive midfielder or further forward and he did very well this evening,” said Guardiola about the Ivorian. “All the team worked hard and it is good to get a clean sheet and all our defenders did well against Watford’s tough, powerful strikers," the former Barcelona boss concluded.